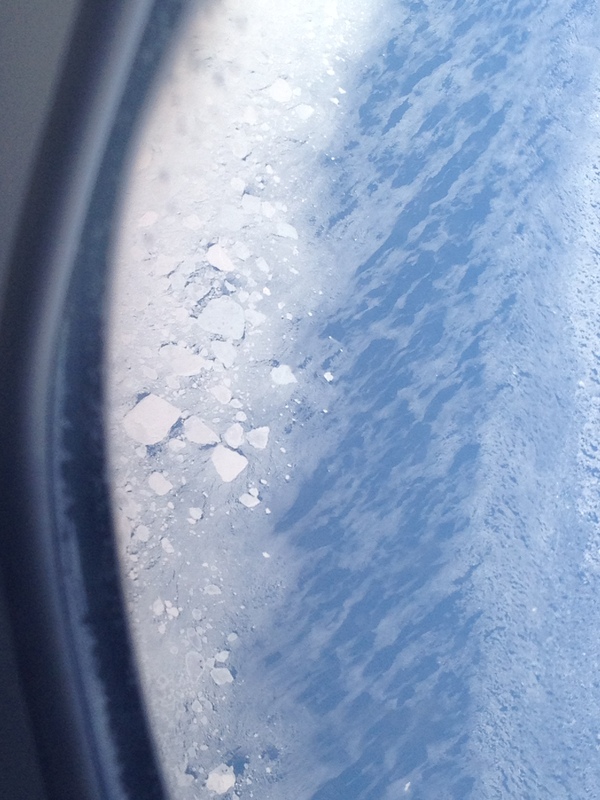 This is my guess… The surface of the water is actually covered with a thin layer of ice. Those beautiful wisps of white on the blue, I think is snow blowing on the layer of thin ice. So those icebergs are frozen in place on the left side.